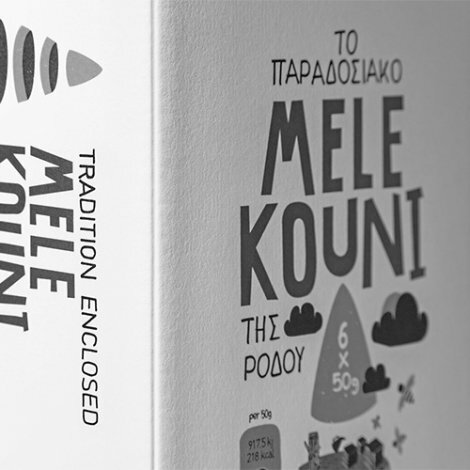 Retail packaging for Melekouni of Rhodes, a traditional wedding treat, recently being exported abroad. ‘Melekouni’ is a rhombus-shaped traditional soft sesame seed candy from Rhodes. An illustration that narrates the story of melekouni, through the common form of a sesame seed, a drop of honey, or the sahpe of an almond; all the necessary ingredients for its preparation.